Bioavailable calcium is essential for bone health; however, bone is complex living tissue that, like other body tissues, has a wide range of nutritional needs. 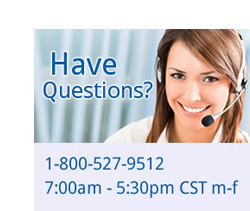 The Osteo-Mins™ formulas were developed and formulated by Jonathan V. Wright, M.D., author of Nutrition and Healing. In addition to calcium these formulas supply strontium, boron, silicon and other vitamins and trace minerals proven by research to support bone growth. The Osteo-Mins AM formula containing strontium, zinc, selenium, copper, manganese, molybdenum, boron and silicon is taken in the morning. 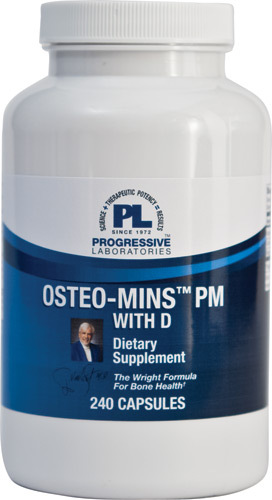 The Osteo-Mins PM formula containing calcium, magnesium, vitamin D (or vitamins D and K) are taken at bedtime. Many researchers feel when these nutrients are taken at different times during the day, assimilation of all nutrients is improved. gelatin, rice flour, vegetable lubricant. Eight capsules before bedtime or more as directed.